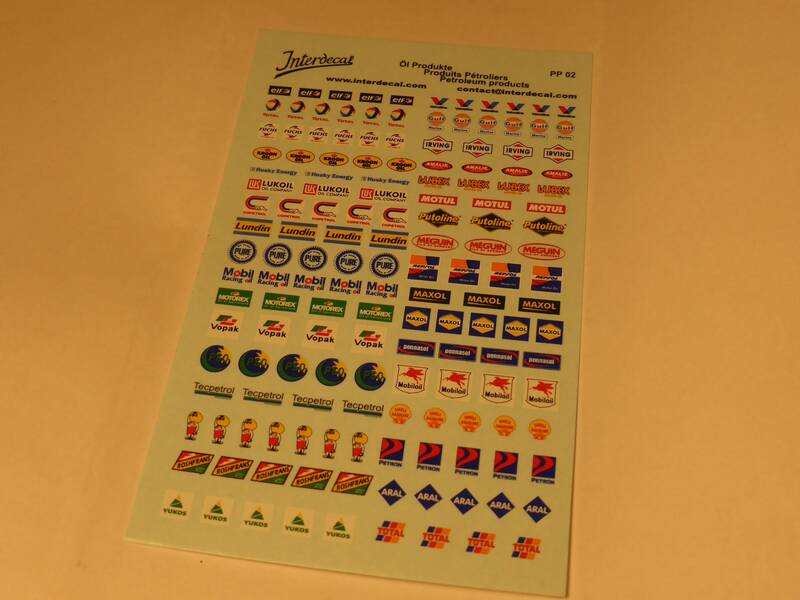 Exceptionally crisp and very useful decals sheet including instructions. 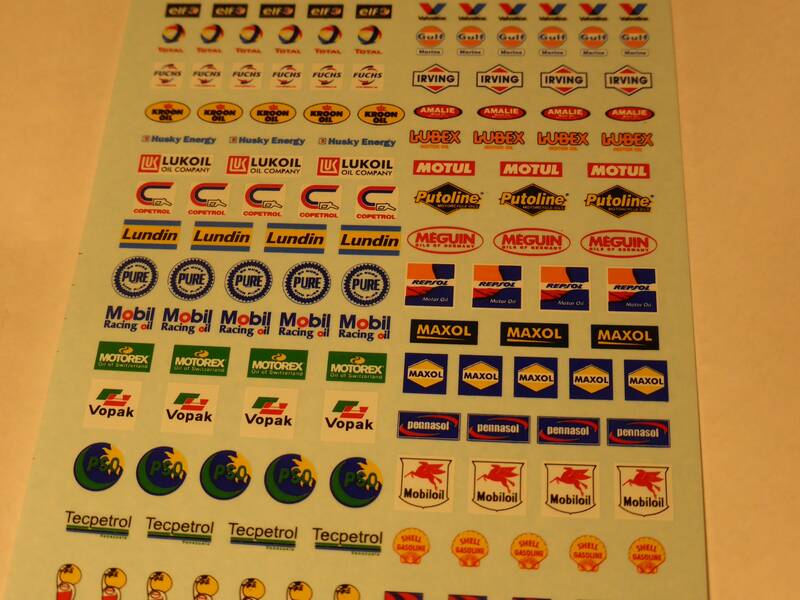 Plenty of scripts and logos. 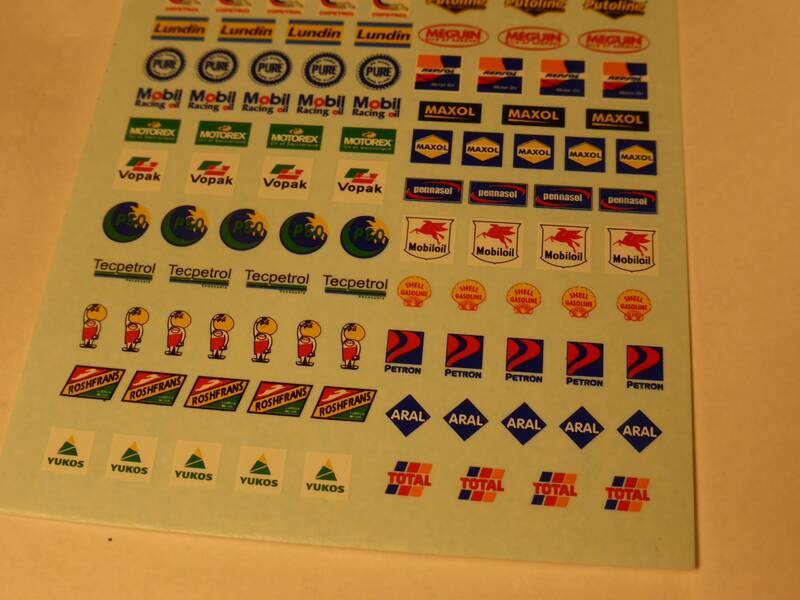 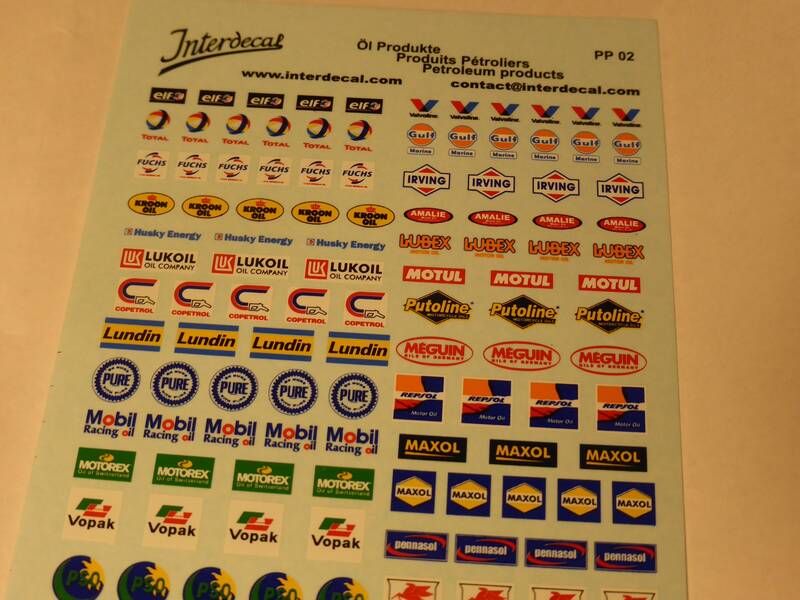 Many rare logos: Elf, Valvoline, Total, Gulf, Fuchs, Irving, Kroon, Pennasol, Motul, Putoline, Repsol, PSO, Petron, Aral, Yukos, Tecpetrol, Amalie, Lubex, Méguin, Copetrol, Husky Energy, Vopak etc.